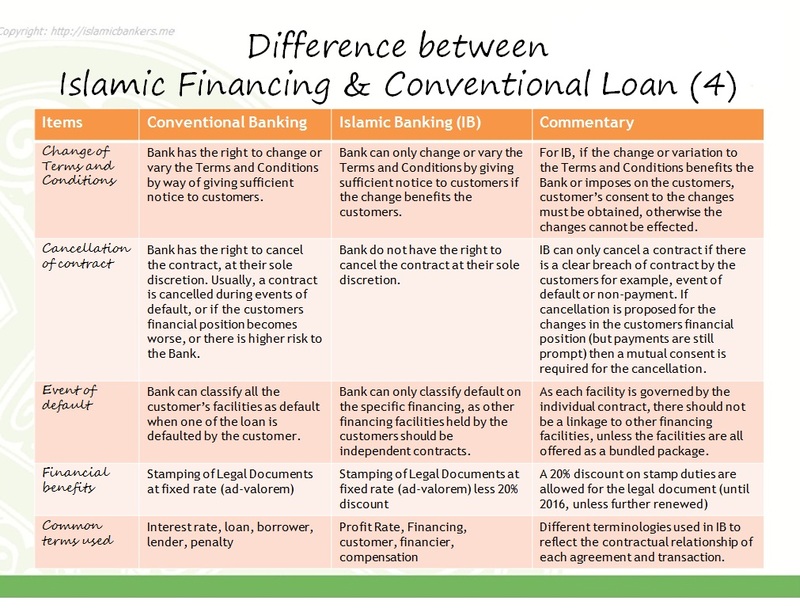 This entry was posted in Article in Islamic Finance, Bank Negara Malaysia, Banking Model, Difference in Islamic Banking, Islamic Banking, Islamic Banking Concepts, Islamic Banking Contracts, Questions and Answers and tagged Banks, Compliant, Compliant businesses, Contractual Relationship, Conventional Banking, Differences, Islamic Banking, Islamic Banking Resource Centre, Islamic Banking Structure, Islamic contracts, Islamic financing, Loans, Maqasid Sharia, Punitive Pricing, Returns for Islamic Banks, Shariah Banking, Shariah Committee, Summary of Differences, The Difference Between Islamic Banking Financing and Conventional Banking Loans, Video Clip Islamic Banking by Amir Alfatakh. Bookmark the permalink. Sharing an article with similar intent. Yup similar vein of thought. 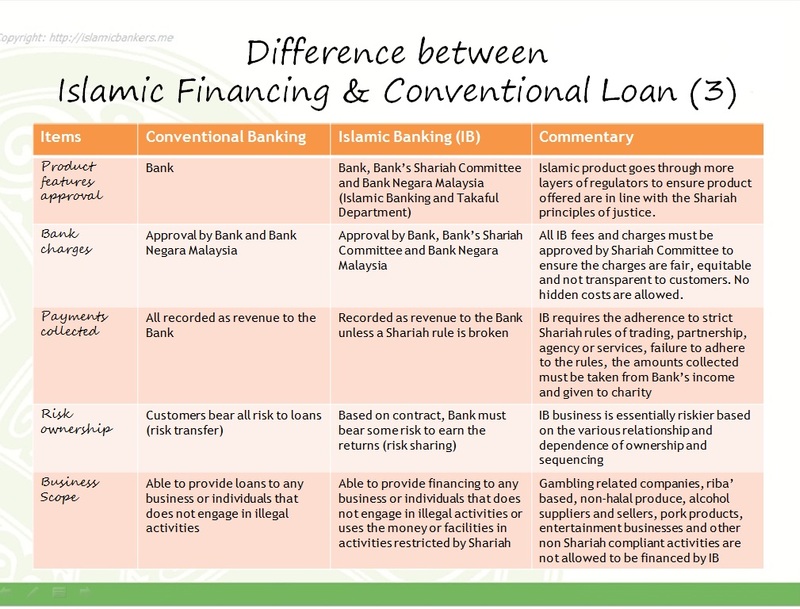 I will also include this link in on of my earlier posts, Conversations on Islamic Banking in Malaysia. Salam. 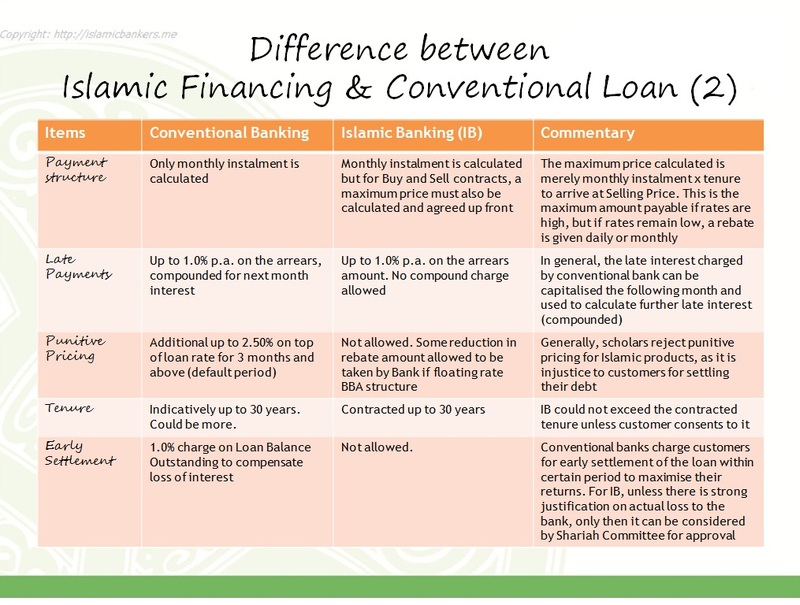 A Shariah Commitee of an Islamic bank in Malaysia cannot override a resolution by the Shariah Advisory Council of the Central Bank (which is an Apex authority) but it may choose to adopt a stricter shariah position/interpretation on a particular contract/shariah issue which may reflect the view of the Shariah Commitee of its Parent Bank/group. Yes of course. Being stricter to an existing resolution by BNM SAC is always good and commendable. 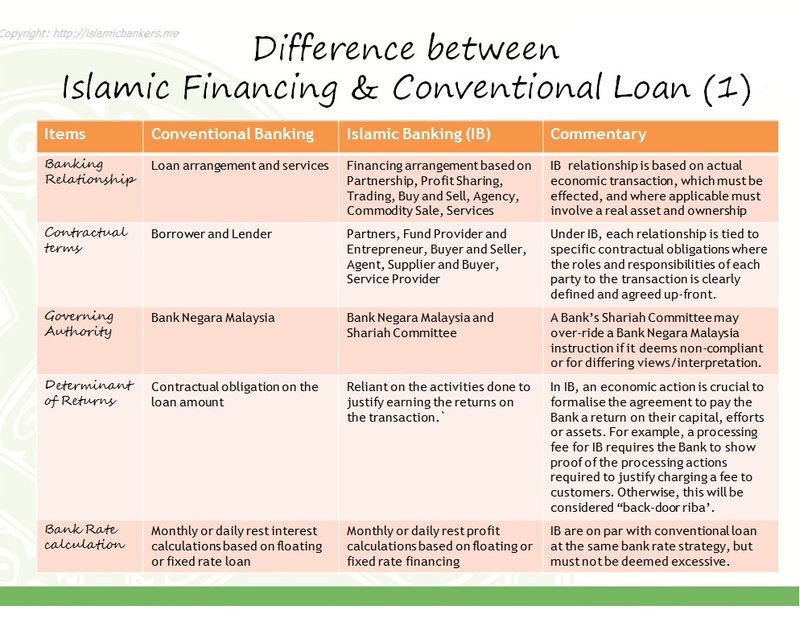 However, there are also many issues that BNM SAC do not cover if it is operational and may differ from bank to bank depending on their capabilities. Bank’s SC will also be guided by the various guidelines issued by BNM, but may have slight differences in interpretation.